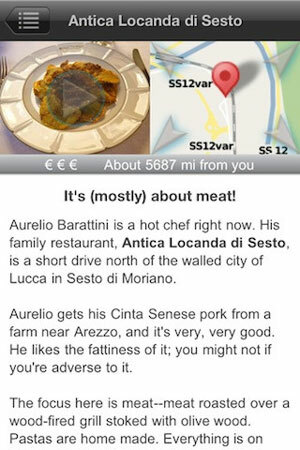 Ten useful iPhone apps for travel in Italy, of which two are completely free. 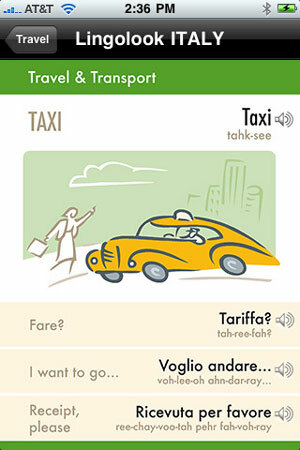 An Italian language and phrases apps that doesn’t require an expensive data connection to work abroad. Lingolook literally lives on your phone. 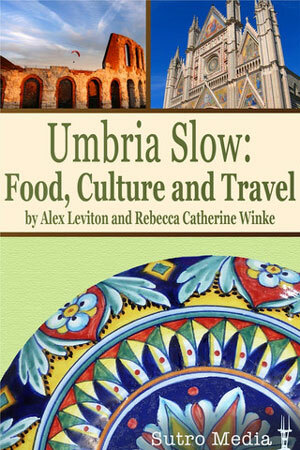 Get off the beaten path and discover the Umbrian dolce vita, slow style. Not a traditional restaurant guide, but a true journey through Italy, visiting culinary curiosities, craftsman and great chefs who best represent the foodie style. 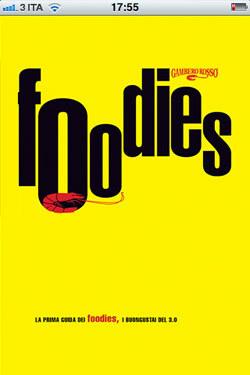 Nearly 1000 entries where food is synonymous to passion and pleasure listed per city and per itinerary, including restaurants, trattorias, pizzerias, pubs, wine bars, street food and much more. Each entry provides googlemaps directions, contact information including telephone number, address and website. 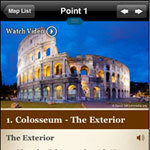 An interactive, multimedia guide that leads travelers on a tour straight from the pages of Rick Steves’ Rome guidebook, combining text, audio, and video. The best of foodie Tuscany, from the butchers, bakers, and cheese makers who adhere to ancient traditions and proudly sell their goods in small shops, to restaurants large and small that process local ingredients into good-to-eat meals. 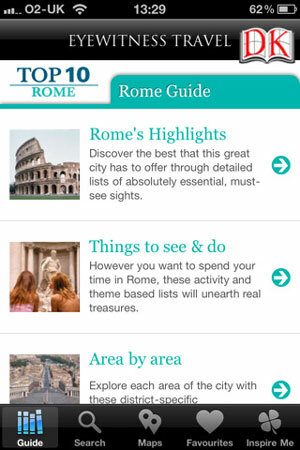 The 10 best of Rome. 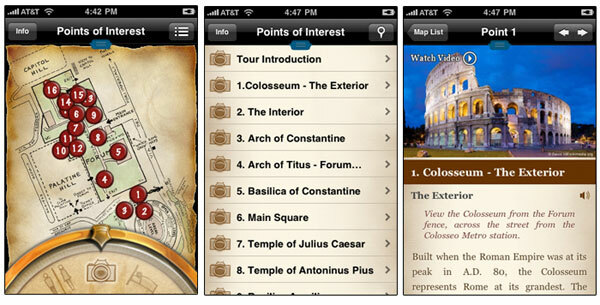 A comprehensive tour guide for Vatican Museums. 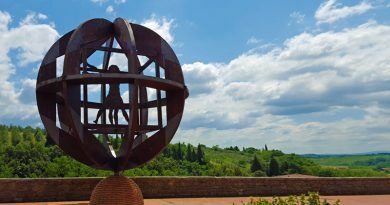 Topics cover history, the Sistine Chapel, Raphael’s rooms, the Pio-Clementino Museum, thePinacoteca (Giotto, Leonardo Da Vinci, Caravaggio, …) and much more. 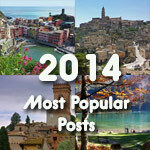 Location, description and beautiful photos for all the top travel destinations in Italy. 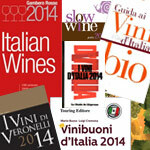 Good to obtain preliminary information about your next travel destination in Italy. A complete list of phrases to help you out in all possible situations, form ordering a pizza to keeping your travel safe. A plus point is that is does not require internet connection, and that it is FREE. Lets you enjoy all the functionality of trenitalia.com directly on your mobile phone to view the timetables, check whether a train is on time, book and buy tickets for national journeys, or change a booking. Prontotreno also features an innovative “voice recognition” system allowing you to give commands just by speaking into your mobile.